Kilmeena GAA Club - TICKETING ARRANGEMENTS FOR ALL IRELAND SEMI FINAL MAYO V DUBLIN. You are here: Home TICKETING ARRANGEMENTS FOR ALL IRELAND SEMI FINAL MAYO V DUBLIN. 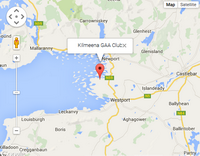 The All Ireland semi Final between Mayo and Dublin takes place in Croke Park on Sunday 30/8/2015.Kilmeena G.A.A. Club are now taking orders from Club Members who are intending to travel. 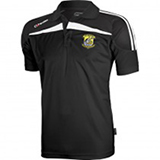 Club orders must be with the County Board by close of business on Wednesday 19th August 2015.It is also very important to note that the expectation is that this fixture will be a sell out so it is extremely important to get your order in early to allow the club time to get orders in on time. Hogan Stand (no concession) 40 euro. Family Tickets available for Cusack and Davin Stands Adults 40 euro Juveniles 5 euro. Students/Senior Citizens (Cusack Stand only) Purchase full price on the day of match,a rebate of 10 euro can be claimed when they produce appropriate I.D at Block D stiles 1 to 5 in Cusack Stand.. Wheelchair and Assistant ticket costs 40 euro.. It must be noted,that orders for tickets must be accompanied by payment in advance. Paul Ryan Secretary 087 2809524. Padraic Moore Treasurer 087 2861190. Trish Hogan P.R.O. 086 8281455. Neil O Donnell 087 2524457.